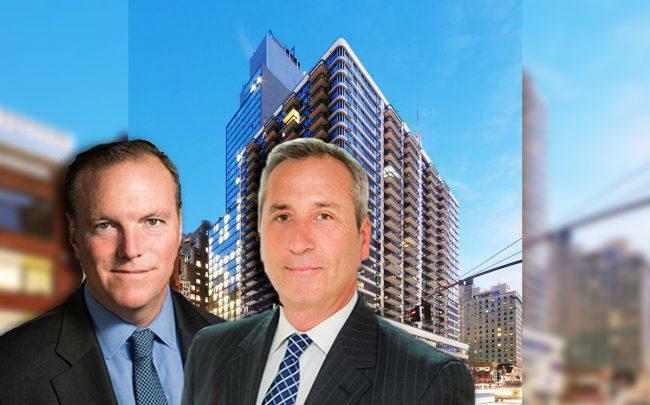 Vanbarton Group was sued for the third time in the past two months for allegedly pushing out office tenants at 990 Sixth Avenue. The property, called the Vogue, is a 25-story rental building with 320 apartments and four floors of offices. According to the latest suit, filed by personal injury law firm Schulman, Blitz & Williamson, Vanbarton has been negotiating buyouts with commercial tenants since January, shortly after acquiring the property in a $320 million deal. Vanbarton successfully negotiated buyouts with 10 of the 14 office tenants in the building. Schulman and Vanbarton discussed an agreement, but were unable to close. Vanbarton’s last offer was $75,000, according to court documents. Jewelry retailers Toho Shoji and Juliana Collection Corporation filed the two other lawsuits last April. The commercial tenants who chose to remain, according to Schulman, have been accused of lease violations “based on completely frivolous grounds.” All three injunctions challenge notices of default for reasons such as inadequate insurance, improper signage and illegal subletting. In Toho Shoji’s case, their default notice did not have an explanation, court records show. Schulman, whose lease in the building stretches to June 2025, claims that its refusal to take a buyout has resulted in “commercial tenant harassment.” The firm claims that Vanbarton has engaged in “unnecessary construction” at the building under the guise of a renovation. This supposedly left the area outside Schulman’s fourth floor office in “complete disrepair” with hanging wires and unfinished ceilings and walls. The construction also supposedly generated “unreasonable and intolerable” levels of noise that forced Schulman to close down for two days. According to the suit, the noise grew worse after Schulman refused a buyout. Vanbarton did not respond to requests for comment. It’s unclear what the company’s plans are for the office portion of the property. However, it is no stranger to office-to-residential conversions. It was a partner in the $100 million conversion of 180 Water Street. Vanbarton was bought out of the project in 2017 by Nathan Berman’s Metro Loft Management for $450 million. Aside from blocking an eviction, Schulman is also seeking $15 million in damages.